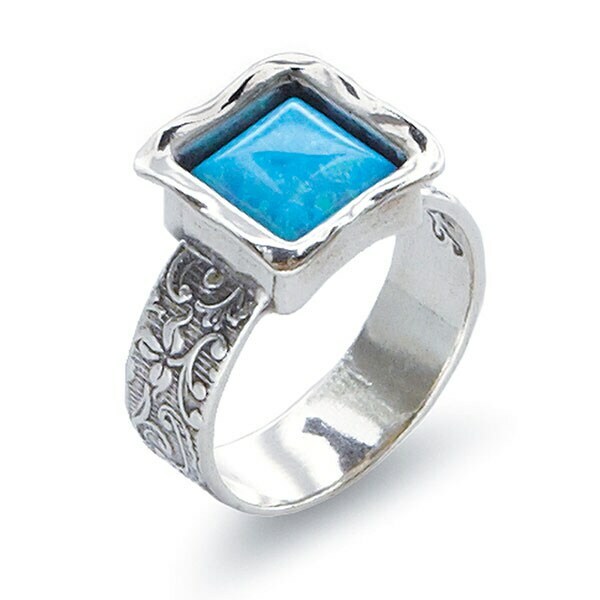 Square blue opal glows forth with intense color inside a polished sterling stamped band--the end effect is the perfect balance between finished and just a hint raw. 1/2" wide, whole sizes 6-10. Made in Israel.